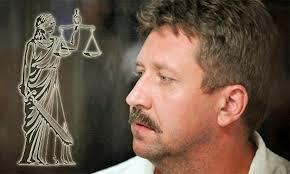 The United States Attorney's Office for the Southern District of New York has filed its Brief of Appellee in Viktor Bout's appeal, to the Second Circuit*, of his conviction for conspiring to sell small arms and missiles to the FARC, to be used to target American officials and soldiers, in Colombia. (1) The Bout criminal investigation did not violate the Due Process Clause. (2) Bout's prosecution was not vindictive. (3) There was no Outrageous Government Conduct during the investigation. (4) Bout's challenge to the extradition proceedings should be rejected. (5) Bout's prosecution did not violate the Doctrine of Specialty (one can only be prosecuted for the crimes one is extradited for). (6) Counts One and Two of the Indictment sufficiently alleged Conspiracies to Murder. (7) The Jury Instructions were proper, in accordance with well-settled principles of Federal Conspiracy Law, and any instruction error was Harmless Error. (8) There was sufficient evidence of jurisdiction, and any lack of jury instructions regarding jurisdiction was not Plain Error,** but merely Harmless Error. I find from a fair reading of the brief that it is well prepared, and persuasive. We shall update you on the progress of the appeal if Bout's attorney files a Reply Brief. ** A failure to issue jury instructions that results in a judicial determination that a miscarriage of justice has occurred, resulting in a new trial, even though no timely objection was made.